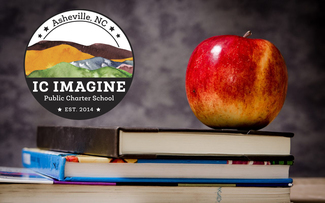 IC Imagine will be holding tours of our campuses twice weekly during our open enrollment period for the 2019-20 school year. Our open enrollment application period for the 2019-20 school year is open from January 1st at 8:00am through March 31st at 11:59pm. We are accepting applications for Kindergarten through 12th grade. Applications accepted during open enrollment will be included in our lottery scheduled for April 11th at 5:00pm. All applications received after the open enrollment period will be added to the waitlist in the order they are received. If you would like to get an inside look at our school, please sign up for a tour! It's a great way to get a feel for the school environment and ask any questions in a small group. This year, prospective middle and high schoolers will also get the opportunity to shadow for the morning before the tour. Your child will shadow a middle or upper school student from 8:00am - 10:30am. Afterwards, we will do a tour for 30 minutes of both middle and upper schools and end our time with a 30 minute Q&A session. You may choose to sign up for just the tour or both the shadow experience AND the tour. Please make a note of your child's rising grade level so we can have them shadow in the proper grade level. Please note: no children under 5 years of age are allowed on the tour. There are only 10 spots available on each tour, so please assign 1 spot per person attending. If your child is shadowing, they should check-in at the Admin building no later than 7:45am. For the tour, please arrive at 10:15am to allow time to sign in. The tour will begin promptly at 10:30am. This tour will be a once a week at our McIntosh Rd. campus for grades 6-12. Please note; our permanent campus is set to open in August 2019. We are not currently able to give tours of the construction site, but our 2019-20 school year will begin in our new campus facility. If you are unable to attend a tour, consider attending one of our Open Houses! Your child will shadow with another student before the tour begins at 10:30am. Please list the rising grade level in the comments. Please choose 1 spot per person attending the tour.